A Special Offer From The Line Up! It’s audition season and one of our longtime sponsors, The Line Up, is offering for a limited time, a 10% discount on all orders $150 or more. To take advantage of this offer, simply use the code: TRYOUT19 at checkout at www.thelineup.com. See the image below for more details. Here’s a sneak peek of The Line Up’s new pro audition and pro team apparel. Click on the image above to see the full line up of audition wear. Special Offer From Satin Stitches! Editor’s note: Audition season is right around the corner and if you are a dancer who is planning on trying out this year, you may want to consider an audition outfit by one of our longtime sponsors, The Line Up. The Line Up is your partner behind the scenes, making your vision a reality. Our passion is creative performance apparel driven by personalized customer attention. The Line Up got its start 25 years ago, designing fitness apparel during the aerobics craze of the 90’s. What began as a side project has evolved into a team of 30+ talented individuals, working together to offer innovative team fashions. Our customers are studio, high school, and collegiate dance teams, NFL and NBA cheerleaders, synchronized skaters, athletes and artistic performers from around the world. We are a small crew providing big possibilities. You need someone that shares your passion and cares as much as you do. Our team knows what it takes to perform consistently at high levels, as many of us have been coaches, performers and even customers. We are your partners behind the scenes, ensuring your details are in order throughout the costume process. At The Line Up, we sweat the details so you can shine on the floor! What you wear contributes to the quality of your performance. If you look great, you will perform great! And that’s why we strive to create performance apparel that looks amazing while allowing you to feel comfortable and confident. Design a memory that will last a lifetime and a look that turns heads! We’re continually investing in top-notch equipment and extraordinary talent to bring your ideas to life. 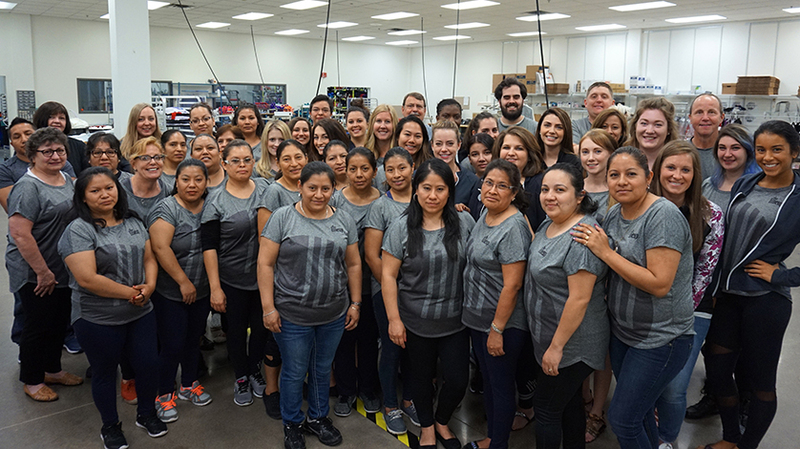 Everyone on The Line Up’s team, our designers, pattern makers, account managers, and production staff work under one roof, making collaboration and innovation seamless. We know you want to be original with your look and style. If you can imagine it, we can create it! When ‘Made in America’ became virtually extinct in our industry, we held strong to our core values. To this day, 100% of the products we produce are made in our Minnesota facilities. Quality is the cornerstone of our work, and each product reflects our commitment to excellence – the same excellence you bring forward in every performance. Editor’s note: Audition season is here and Sideline Prep, a sponsor of UltimateCheerleaders.com, is here to help you get ready for the audition of your life! Sideline Prep is the Top Professional Cheer/Dance Coaching & Development Company. Sideline Prep is there every step of the way! So you can WOW the judges at your next audition or just get a good ol’ workout! Space is limited for these small group sessions…. 1st Come, 1st Served! Next session is February 22, 2018. Click here to register. Need pictures for your upcoming auditions?? Or do you need head shots for a professional resume? You know Sideline Prep has you covered! 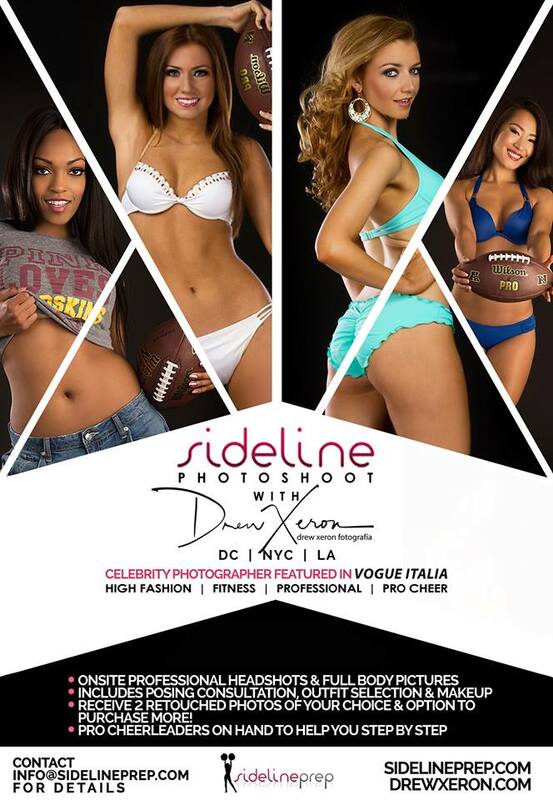 If you want quality photos taken by the ONLY Photographer in the area that works with both of our local NFL and NBA teams… PLUS a team of Sideline Prep Coaches – all current and former professional cheerleaders, on your side helping you every step of the way at your auditions — Then join us for Sideline Photo Shoot! Our next session is March 25, 2018. Click here for more information. Editor’s note: Audition season is right around the corner and if you are a dancer who is planning on trying out this year, you may want to consider an audition outfit by one of our longtime sponsors, Satin Stitches. Real Custom…Real Quality For nearly 40 Years! At Satin Stitches, we pride ourselves on producing hand-crafted, couture quality custom dance costumes and uniforms, right here at our showroom and production facility in Minneapolis. We do not cut corners on the quality, fit or construction of our custom designed performance costumes. You can only appreciate and understand our superior Satin Stitches quality if you see and wear it yourself. So don’t hesitate to call or email with questions about what we can do for you!  Shop Online at Satin Stitches 24/7! We are now offering a variety of customizable Dance, Pom, and Cheer team costumes and uniforms, along with solo audition tops and bottoms. These items are made to order and will be ready for you in a matter of weeks (subject to fabric and trim availability). If you are interested in any of the styles we will offer, but want to order them in a different fabric/color combination that is offered in our Web Store, or with slightly different features or sizes, please contact Satin Stitches directly! Deborah J. Nelson founded Satin Stitches® in early 1978, as a one-woman venture after working as a Fashion Designer/Patternmaker for a high-end woman’s apparel company for five years in Minneapolis, MN. By 1979, Deborah added a team of costume design professionals to help create the very best custom dance performance costuming available. Satin Stitches moved to its current location in 1989, and expanded to double the space in 1994. Although many changes have occurred at Satin Stitches in its nearly 40 year history as a high-quality, custom dance/performance costume manufacturer, the company still remains true to its beginnings, by consistently creating both completely original and customizable costumes for all types of performers including individuals and groups of any size. Deborah’s 40+ years of professional design, fitting, alterations, and pattern-making experience hails her as a leader in the industry. A Bachelor of Fine Arts (Major: Fashion Design) graduate and former instructor at The Minneapolis College of Art and Design (MCAD), Deborah continues to share her knowledge and experience as both a speaker and writer on topics related to the design, selection, and care of performance costumes and uniforms. Her articles and designs have been featured in magazines including Dance Spirit, Dance Teacher, Survival Guide, Cheerleading/Dance & Drill, Synchronized Skating, and other national publications. Deborah also presents informational seminars at dance, skating and music educator clinics across the country, is a member of United Dance Merchants of America and served on the Editorial Advisory Board of Dance Spirit Magazine for its first five years. Learn the five massive mistakes professional cheerleader hopefuls make when preparing for auditions and how to avoid them. Sideline Prep, an UltimateCheerleaders.com sponsor, is offering free complimentary online training. For more information on this amazing offer, please click here. If you are thinking about auditioning for a pro (…especially NBA) or semi pro team, then you know that it’s time to get your pictures ready for the upcoming pro and semi pro auditions. So, Yes!!…. back by popular demand… it’s time for Sideline Photo Shoot!! Your application picture(s) sets the tone for your audition. This is a GREAT way to make a wonderful first impression… or of course, the picture you submit could work against you. Keep in mind that during deliberations… the judges constantly look at the pictures that you submit with your application. So you want to make sure your pictures represent your “best you”!! Sideline Photo Shoot is a “one stop shop” to get quality full body, head shots, and professional pictures for your upcoming auditions. Our photographer is the best of the best! Plus former professional cheerleaders and makeup artists are there every step of the way to make this the BEST experience ever!! This opportunity is on a first-come, first-serve basis… so register soon!! The date for the Sideline Photo Shoot is Saturday, July 8th. Click HERE to register! NOTE: Block off the entire day, just in case. After the registration is closed, you will receive your time slot a few days prior to the photo shoot. Just as a reminder, our NYC/DC Celebrity Photographer again this year is Drew Xeron – who also happens to be the photographer for the Washington Redskins Cheerleaders, Washington Redskins Cheerleader Ambassadors, Washington Wizard Girls, Washington Valorettes and Baltimore Brigade Dancers! ….So if the Coaches & Directors of these team trust him, then he obviously knows how to make our Lovelies look their BEST!! Watch the video below to check out all of the fun we have at our photo shoots!! We look forward to helping you create “your best you” via your application photo! P.S. Don’t forget to click HERE for more information and to sign up! Simma Wear Memorial Weekend Sale Underway! Simma Wear, an UltimateCheerleaders.com sponsor, is having a sale…a big Memorial Day Weekend sale. Our 4 Day Memorial Weekend Sale Is Here! Shop Up To 30% On Your Upcoming Audition Attire & Accessories! NBA audition season is almost here and not only do we have discounts site wide, we’ve expanded our rental section just for the weekend! Introducing the 2017 Simma Girls! Simma Wear is excited to announce that we have expanded our team! #SimmaGirls are group of beautiful and talented current & former professional dancers that have danced in the NBA, NFL and additional major league sports with credits including Ellen DeGeneres, Lupe Fiasco, Ginuwine, Nick Cannon, Disney & more! Collectively with a reach over 150K on social media and 24 representatives in 12 states, #SimmaGirls are a powerful bunch representing the Simma Wear brand while offering services to aspiring dancers, dance studios and companies! We have amazing things coming, but in the meantime meet our team! Have a question for one for our Simma Girls? Not only will we get the answer, but we’ll provide their personal promo code for a discount on our audition wear, renting services & accessories just for you to use! Audition season is well under way and Simma Wear, an ultimateCheerleaders.com sponsor, has some exciting news to share. 2 WEEK AUDITION TOP RENTAL NOW AVAILABLE! Simma Wear is happy to announce that we will now be renting a limited supply of our full rhinestone audition tops! Each top has between 350-430 Swarovski rhinestones, giving you the full glam look just for your audition week! Dancers… if you’re just not quite ready to invest in that perfect audition top, renting is the perfect solution for you! Reserve today & select your arrival date at check out. Sponsor Spotlight: Simma Wear Audition Top Discounts! Audition season is well under way and Simma Wear, an UltimateCheerleaders.com sponsor, is featuring audition top discounts all week long, with a new deal each day. ….and we want to ensure you do that! Every day this week we will have a different sale on a select few of our audition tops. Check back every day to see if your favorite is on sale and show up to auditions feeling 100%. Click on the images above or click here to shop the sale. Satin Stitches attended the 2017 NFL Cheer Director’s Conference in Philadelphia, PA in February and here are some highlights from the designers fashion show. Highlights include selections from their 2017 audition wear, modeled by the fabulous Philadelphia Eagles Cheerleaders. Audition looks seen here are available for customizable orders at shop.satinstitches.com.